Dr. Robert John Wieber is the Director of Pastoral Care at the Saint Peter Regional Treatment Center, in St. Peter, Minnesota, the state’s earliest psychiatric treatment facility. Specializing in spiritual therapy, Dr. Wieber provides treatment and spiritual enlightenment for positive healing, and faith-based physiological therapy. He also develops treatment methods based on the 18 spiritual building blocks of enlightenment for positive energy. Dr. Wieber is the author of a published chapter, entitled “Pastoral Counseling,” which was included in a publication written by Robert Wicks. He has received awards and honors for the many years of service that he has contributed to his field, and he continues to strive for excellence in his every endeavor. Dr. Wieber became involved in his profession after dedicating himself to serve as God’s messenger. In the years to come, he plans to continue to develop the services offered by the treatment center. 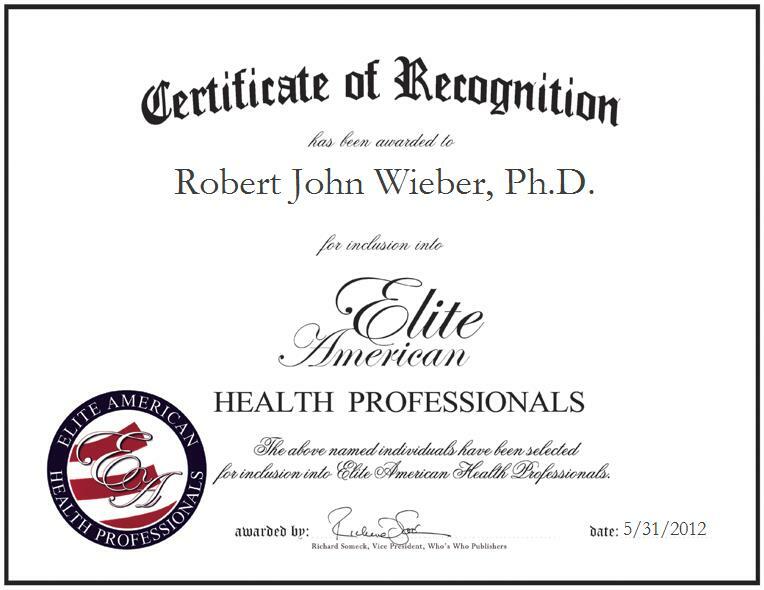 Contact Robert John Wieber, Ph.D.